When temperatures drop, it’s time for ice experiments! 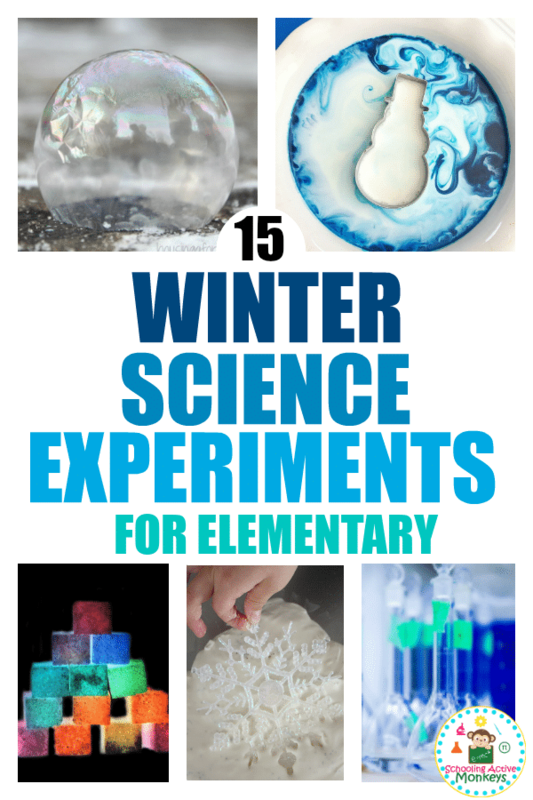 Ice science experiments are a fun part of any winter STEM activities that you can do in the classroom or at home. 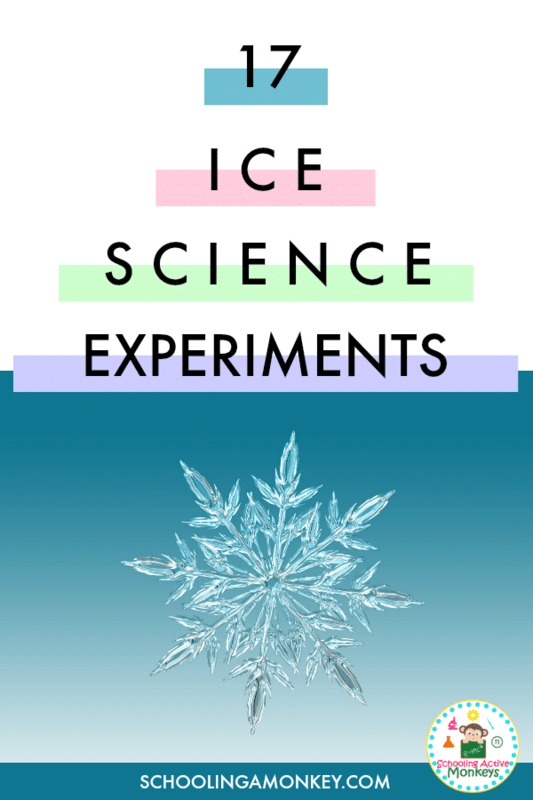 Kids will have a blast with these ice cube experiments and ice melting experiments to learn about science experiments from temperature changes, how frost is formed, to the states of matter of water! 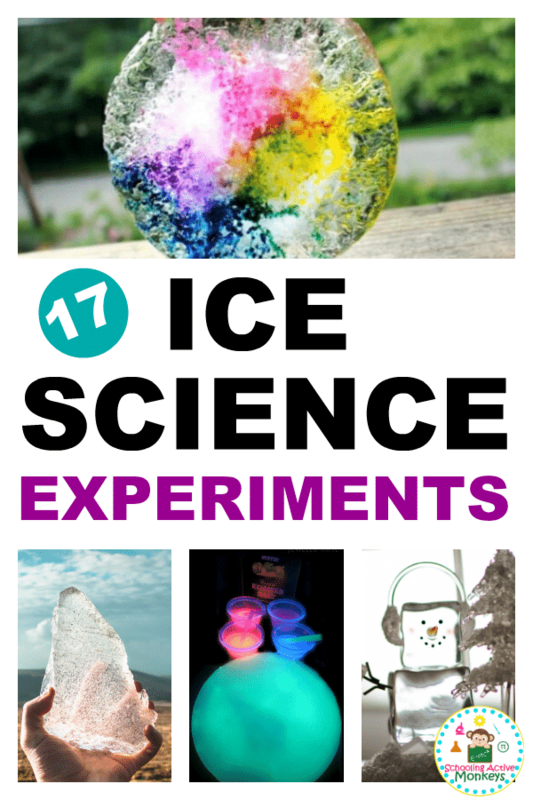 There is no end to the scientific learning you can do with ice! 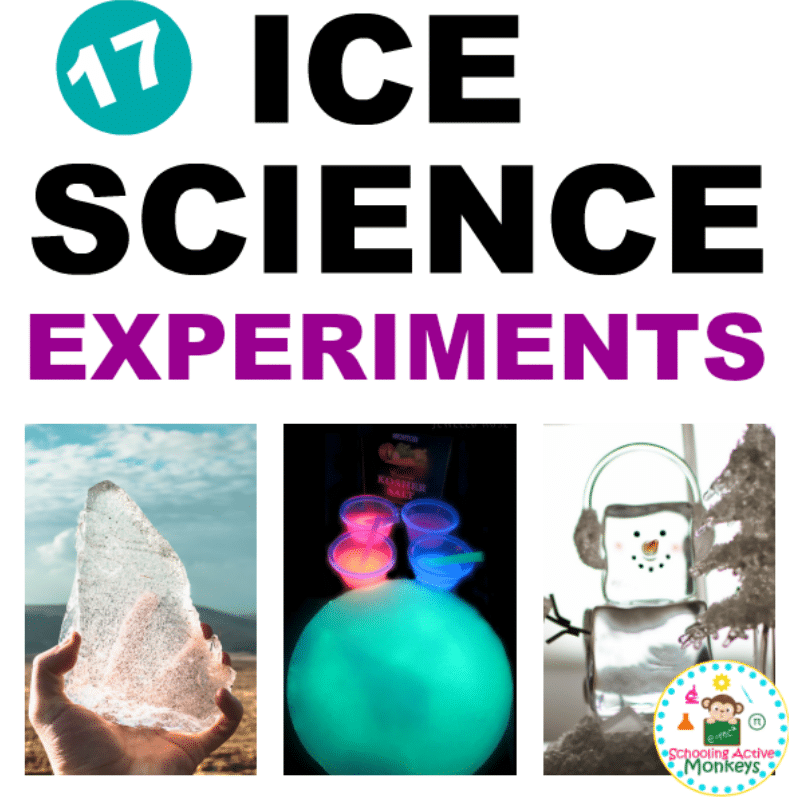 THE ULTIMATE LIST OF ICE SCIENCE EXPERIMENTS FOR KIDS! 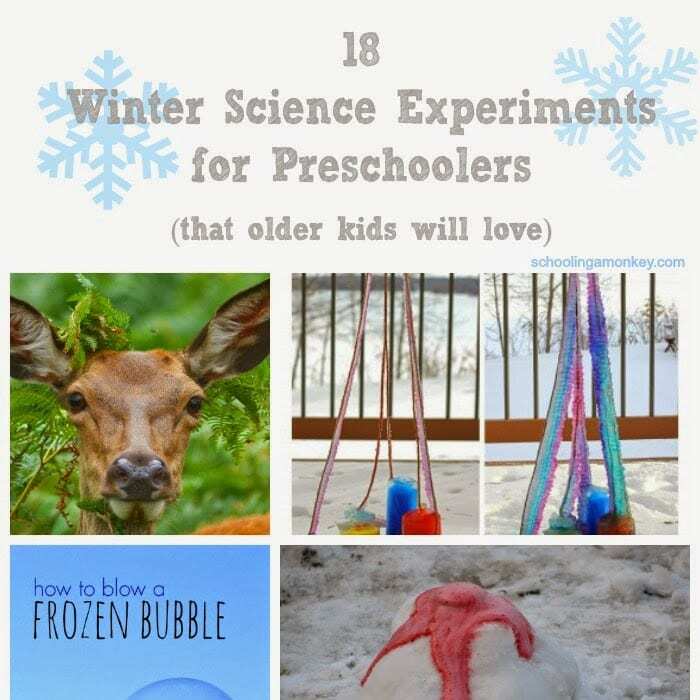 Try these fun ice cube experiments in the winter or any time of the year! Transform an ordinary ice cube into a magnifying glass in this ice cube experiment! Transform ice cubes into frost with this ice melting experiment. You don’t need freezing temperatures to make ice! With this adult supervised experiment, kids will learn how to burn ice. 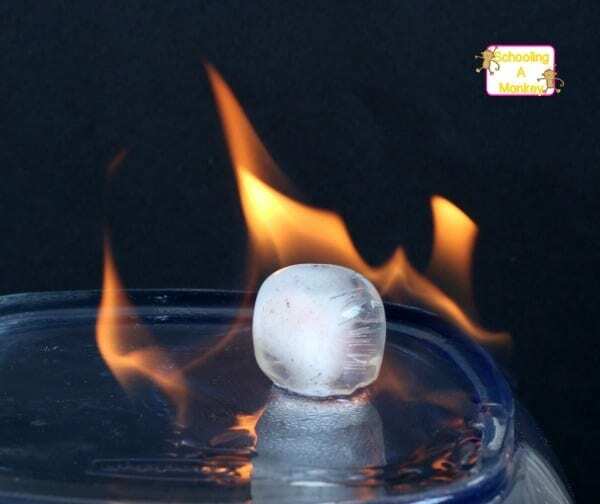 Using just a few ingredients and safety items, this easy experiment will have kids wanting to know the science behind burning ice. What happens to oil when it is frozen? 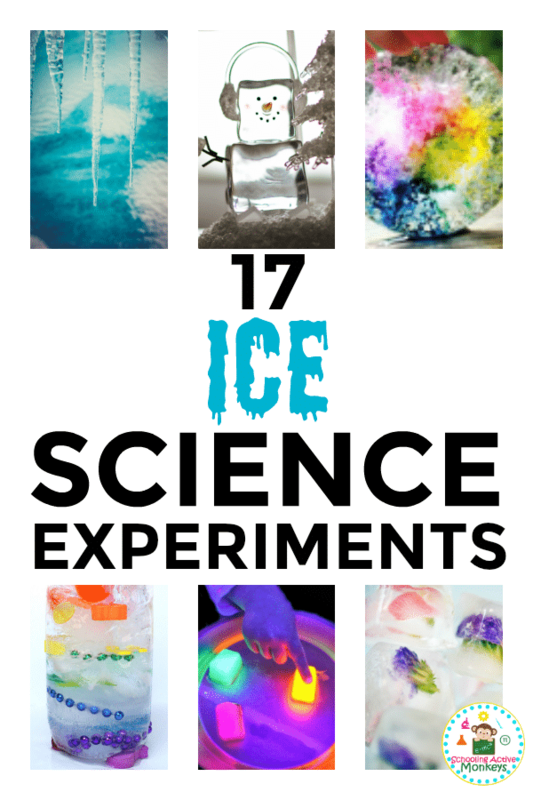 Here’s a fun way to explore the liquid densities of oil and water, or in this case, ice. 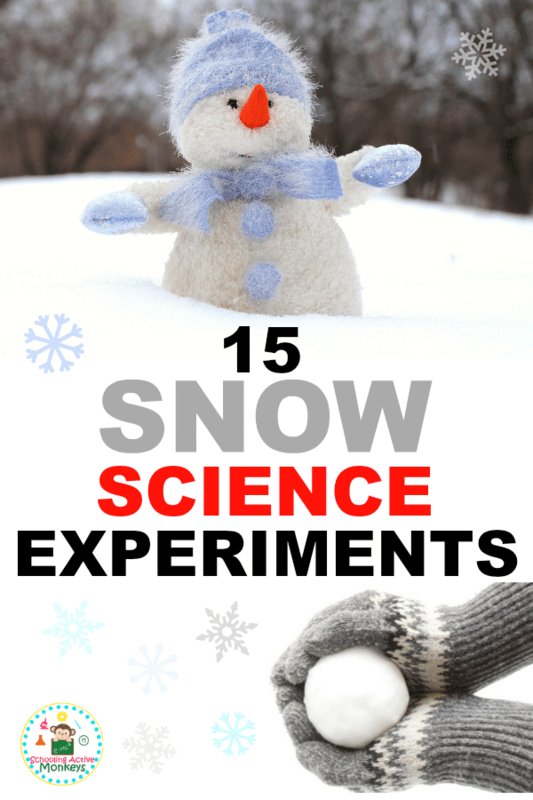 Plan ahead for some freezer time, then run the experiment and watch as the magic happens. An easy experiment where kids learn how and why salt melts ice. Kids can learn how to make frost on a can and how to quickly cool a glass bottle. Is it an art project or an experiment? It’s both! 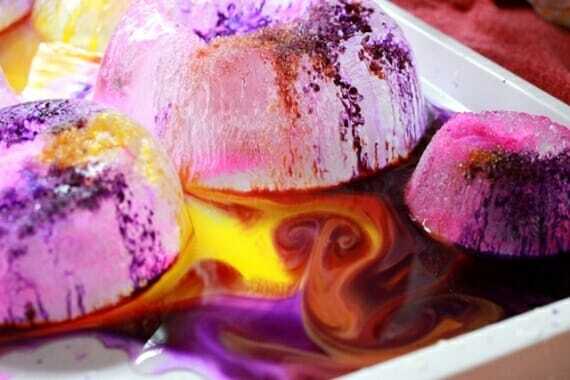 Kids will love getting creative with this project and will also learn the science behind their melting experiment. Make sure and take some before, during, and after snaps of the beautiful artistic experiment. Kids will love this cool experiment of creating a giant crystal ball using dry ice. They will learn the science behind it and will have a great time popping the ball and seeing what happens. Fun STEM project for toddlers. Can make frozen building blocks into many different shapes to create more interest for the kids in their building projects. Learn how ice melts under different conditions. Which ingredient makes ice melt faster? Common household ingredients are all that’s needed to run this experiment. How To Create Ice Spikes In Your Freezer by Thought Co. Learn which kind of water to use to create the “ice spikes” and how and why this works. Kids will learn about sedimentation layers when they build this cool rainbow ice tower with various items. Hours or days of excavation fun if you refreeze remainder of project. Using glowing homemade watercolors and ice, run this fun experiment and learn the science behind the glowing effects. 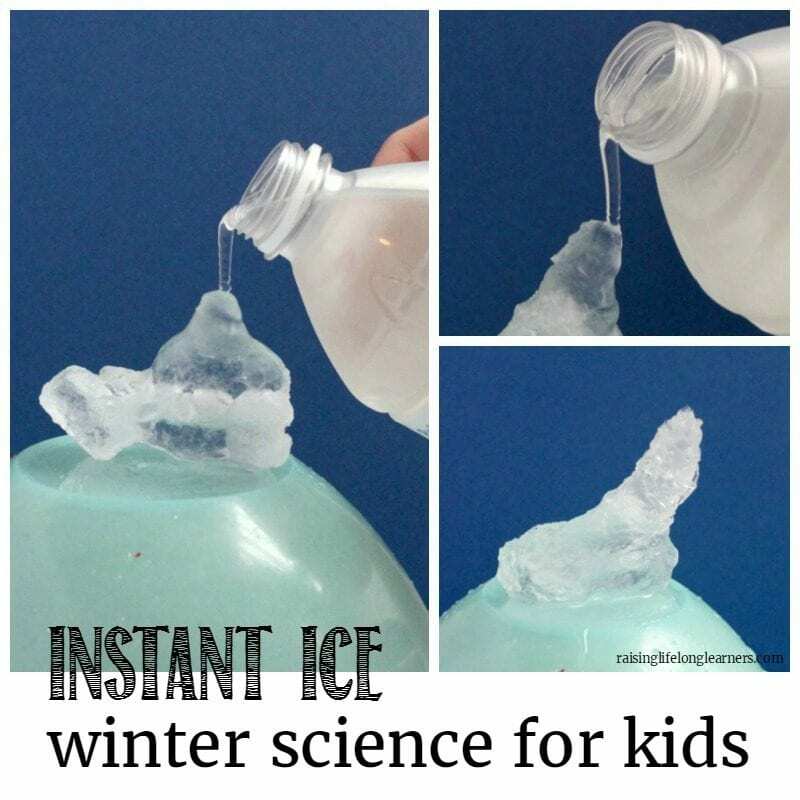 Cool experiment to create ice instantly. Kids learn about “snap freeze” and how crystals are triggered to form. Kids will learn the science behind why you can lift an ice cube by touching a string to it. Freeze small items or toys in an ice tray and then learn which ingredients will melt the ice to extract the toys or items. Learn the science behind the “melting” ingredients. Learn two different ways to form a cloud in a jar using simple household ingredients, including ice cubes. Explanations of how and why are included in the experiment instructions.